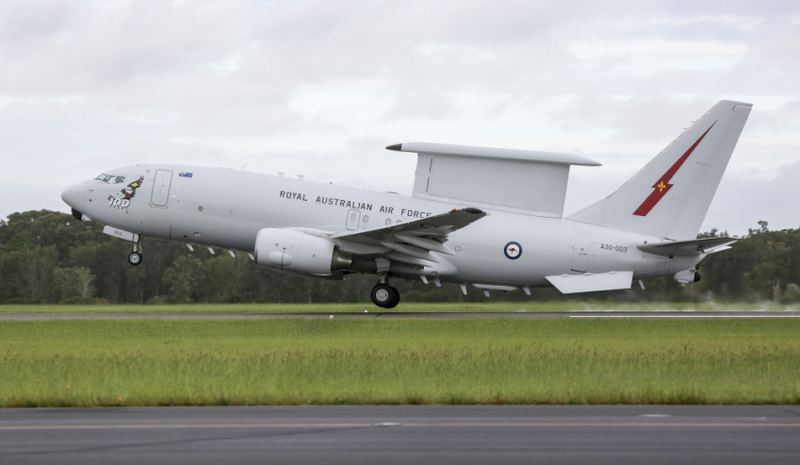 Defence Minister Christopher Pyne and Defence Industry Minister Linda Reynolds have welcomed news that the UK Royal Air Force will acquire five E-7A Wedgetail airborne early warning and control aircraft worth US$1.98 billion. Ministers Pyne and Reynolds said the acquisition represented an acknowledgement of the world-leading nature of the Wedgetail aircraft. "The Wedgetail is a true Australian success story – designed for the Royal Australian Air Force with investment by the Australian government and the support of over 200 Australian companies," Minister Pyne said. The E-7A Wedgetail provides Australia with one of the most advanced air battlespace management capabilities in the world. The E-7A Wedgetail has participated in Exercise Bersama Lima, Cope North, Red Flag and Pitch Black, with units currently deployed on Operation OKRA. "Like the Australian acquisition of the Hunter Class Frigate, the UK acquisition of Wedgetail aircraft will enhance the ability of our two nations to operate seamlessly together," Minister Pyne added. The Boeing 737 AEW&C is a state-of-the-art system providing powerful airborne surveillance, communications and battle management. UK Defence Secretary Gavin Williamson said the E-7 fleet would replace the RAF's ageing fleet of E-3 Sentry aircraft and ensure the continued delivery of the UK's airborne early warning and control (AEW&C) capability. "The E-7 provides a technological edge in an increasingly complex battlespace, allowing our ships and aircraft to track and target adversaries more effectively than ever. This deal also strengthens our vital military partnership with Australia," Secretary Williamson said. Australia’s experience in operating the Wedgetail presents a significant opportunity to work closely with the UK through co-operative development and industry collaboration. The UK acquisition is also expected to be a significant win for Australian defence industry. Boeing Defence Australia welcomed the UK announcement and said it would support Boeing Defence UK in the delivery of the Wedgetail capability to the Royal Air Force. In a statement, a Boeing Defence Australia spokesperson said, "Under the contract, Boeing Defence Australia will support the global Boeing Team in the UK and the US in support of mission system development, ground support segments, and ground-based aircrew and maintenance training." Minister Reynolds said, "The UK acquisition is expected to deliver 100 jobs to the Brisbane and Newcastle based staff of Boeing Defence Australia, taking advantage of their world-leading capabilities in systems and software engineering and deep experience in Wedgetail support, including ground based aircrew training. "Further opportunities – including for the more than 200 Australian companies that have contributed to our own Wedgetail acquisition and sustainment – will be available for Australian industry in the supply chain." Based at RAAF Base Williamtown, Australia's six E-7A Wedgetails significantly improve the effectiveness of the ADF. They are capable of communicating with other aircraft and providing air control from the sky, and can cover 4 million square kilometres during a single 10-hour mission.